Humboldt-Innovation GmbH, the technology transfer office of Humboldt-Universität zu Berlin and Elsevier, a world-leading provider of scientific, technical and medical information products and services, announced the launch of the Humboldt Elsevier Advanced Data & Text (HEADT) Centre. The HEADT Centre brings together experts from Elsevier and researchers from Humboldt-Universität zu Berlin to explore innovative ways to better serve the needs of researchers, practitioners and other members of the scientific community in order to reduce barriers to mining content and to identify research misconduct. The Centre wants to enhance basic research in these fields. 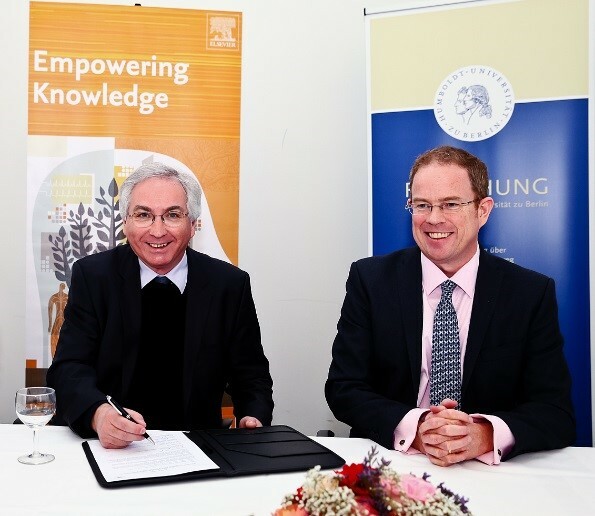 Two projects will run under the umbrella of this cooperative venture of Humboldt-Innovation and Elsevier. The first project aims to provide scalable computing infrastructures and algorithms to improve computer-aided discovery, enhancing the efficiency of text and data mining (TDM). The project is led by Johann-Christoph Freytag, Professor for Databases and Information Systems at the Humboldt-Universität with support from Dr. Flavio Villanustre, Vice President of Technology Architecture and Product for LexisNexis and leads the High Performance Computing Cluster (HPCC) Systems at Elsevier. The second project will focus on research integrity issues such as plagiarism, image manipulation, data falsification and fabrication, which pose important problems for researchers, universities and publishers alike. This project is headed by Professor Michael Seadle, Director of the School and Vice-Dean of the Faculty of Arts and Humanities I at Humboldt-Universität. He is supported by Dr. IJsbrand Jan Aalbersberg, Senior Vice President of Research Integrity at Elsevier. To researchers, digital technologies open new ways of receiving and analyzing scientific texts and data. At the same time, managing the ever-growing volume of scholarly content requires targeted TDM and introduces the challenge of mitigating the risks of research misconduct. So far, interdisciplinary research within these research areas is missing. “At Humboldt-Universität, we are strongly committed to being the home of research excellence,” says Professor Dr. Peter A. Frensch, Vice President for Research at Humboldt-Universität. “We believe that the HEADT Centre will contribute to the research community and will support researchers and practitioners in making future scientific breakthroughs." "Researchers of Humboldt-Universität and Elsevier are devoted to quality, technology and research excellence," adds Dr. Nick Fowler, Chief Academic Officer at Elsevier. "Both organizations embrace the great responsibility that comes with this dedication. Through the HEADT Centre, we are jointly dedicated to developing services and tools that add true value to research in order to empower knowledge creation and sharing. 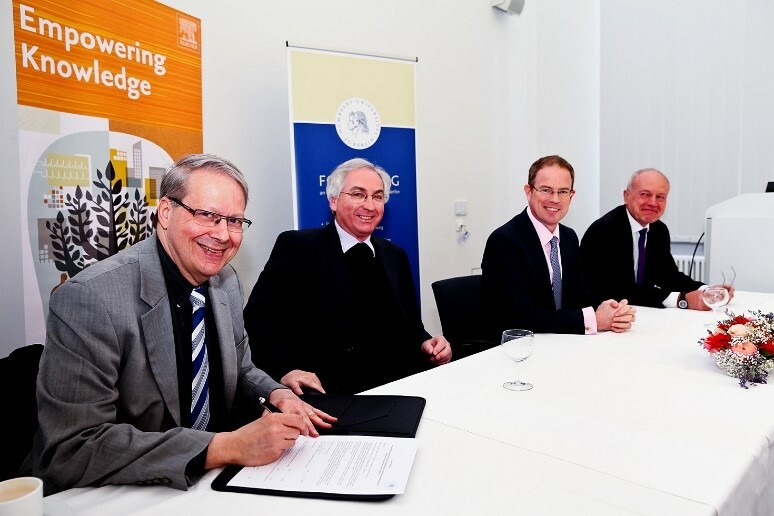 We are delighted to launch the HEADT Centre to develop services and tools that will help to create science that will benefit all of society." The two projects of the HEADT Centre will run over a three-year period and will be managed by Melanie Rügenhagen. The institute plans to launch additional research projects in collaboration with partners from the international science community. More information can be found on the HEADT Centre website: headt.eu.